Brenda Schick, Ph.D., working with the EIPA Diagnostic Center at Boys Town National Research Hospital, has developed the EIPA Written Test and Knowledge Standards. This comprehensive multiple-choice test evaluates the interpreter’s understanding of information that is critical to performing with students in an education setting. The test consists of 177 questions and takes approximately one and a half to three hours to complete. This computer-based test is administered through the Internet. A passing score on the EIPA Written Test is not needed in order to take the EIPA Performance Assessment. 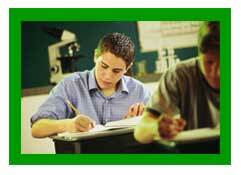 Registration is currently open for tests occurring in September, October or November, 2013. For a complete listing of proctors, test locations and test dates, click here. Not every state has a proctor. If you or someone you know is interested in becoming a proctor, contact Teresa McEvoy at (402) 452-5042 or Teresa.McEvoy. All approved proctors are required to host a minimum of two tests per calendar year. Registration DeadlineOnline registration must be completed at least 3 full business days prior to your test date.If your test will be paid with a purchase order through a third party agency or organization, you must register at least 5 full business days prior to your test date. For Purchase Order registrations, contact Misti Jensen Monday through Friday from 8:00 AM to 5:00 PM (CST) at 1-800-756-7920 ext. 7150 or via email at EIPA. The fee for the EIPA Written Test is $200.00 and is paid online at the time of registration. Proctors are allowed to charge test takers a proctor fee. You may contact the proctor prior to registering to inquire about possible proctor fees. Any proctor fee is collected at the test site and paid directly to the proctor. Registration FormTo begin the online registration, click here. The processing fee is $25.00. All monies are refundable in full minus the $25.00 processing fee if the cancellation is received by 8:00 AM (CST) AND three full business days before your scheduled test date. No refunds will be issued for no-shows or cancellations received after 8:00 AM(CST) AND less than three full business days before the scheduled test date. Purchase orders will still be subject to cancellation policy requirements. Registrants MUST cancel the test request on line. For answers to questions ranging from cost and test format to how to become a proctor, please click here. The EIPA Written Test is based on a set of knowledge standards that was developed by a group of experts, including deaf consumers, interpreters, interpreter trainers, deaf educators, and ASL linguistics. The test is not a factual memory test. In other words, memorization of the knowledge standards only, may not enable you to receive a passing score. Application of knowledge to situations is necessary in order to pass this examination. The test is also based on the EIPA Code of Professional Conduct for Educational Interpreters. The RID Code of Ethics is not the basis for professional conduct in the EIPA Written Test. The written test will be given in 2013 during the months of February, March, May, June, September, October and November 1st – 15th, 2013. The EIPA Written Test was developed with funding from the Office of Special Education, Programs of National Significance (H325 N010013), awarded to Brenda Schick, Project Director, Boys Town National Research Hospital, and with support from the Regional Assessment System establish by the Mountain Plains Regional Assessment Center, directed by Bern Jones. What is Happening at the Deaf Church??? Do you need to know Science ASL signs??? FREE Online Public Charter Home School!!! DEAF CHAT COFFEE AT STARBUCK IN SLIDELL! Want a free Sorenson videophone? Free Monday Night ASL Study Groups and Classes for all levels!!! Making Bracelets for friends in Nigeria!!! The Deaf Church making more than 1000 bracelets for our Deaf friends in Nigeria!! !